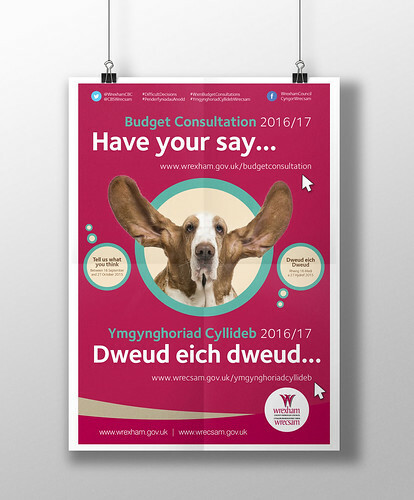 In September and October 2015, Wrexham County Borough Council asked the public of Wrexham to take part in the ‘Difficult Decisions’ consultation, to inform the decisions we had to make in order to meet the financial challenge we continue to face. The consultation involved a survey, and a consultation event to which we invited: town and community councillors, the tenants’ forum, Wrexham Over 50s Forum, the Equality Impact Assessment group (diversity forum), members of Wrexham’s citizens panel, and representatives from the Senedd yr Ifanc. We also engaged with young people to find out their views, through workshops with schools and youth groups. Over 1,700 people took part in the consultation in all, and we would like to thank all those people and groups who took part. A really important part of any consultation is feeding back to the participants about what has happened since they gave their opinions, and what effect their views have had. This process of feedback is about being able to show where your views have directly impacted on a proposal, and also explaining when there are times where we could not do everything suggested by the public (and explaining why). So, we are now presenting this ‘You Said, We Did’ report to show you the final decisions that have been made about each of the proposals presented for consultation.